Soo...everytime a family birthday comes around I get super excited. WHAT WILL I MAKE. OOOOOO.. The choices. 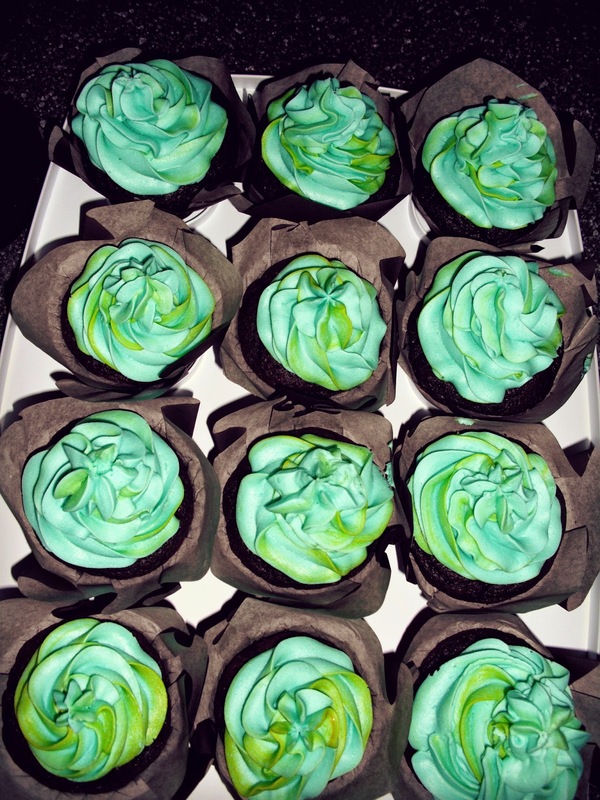 I decided to make these cupcakes much to late last night, but they were so worth it. These were made for my brother's birthday alongside the Zelda cookies! The colours remind me of spring. Which STILL has not happened. Why? Where ya hiding fellow season? 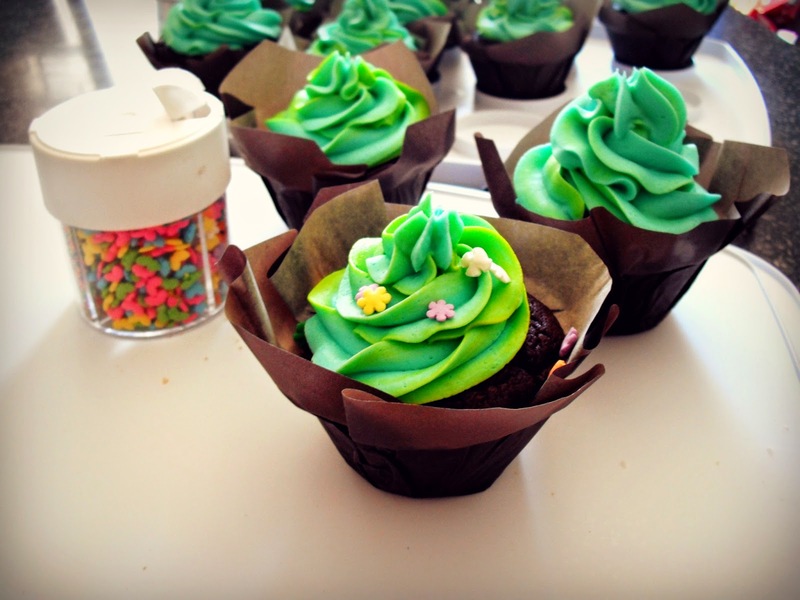 I feel so much better that I have had a chance to bake and decorate some cookies and cupcakes. I know, that's really strange. Also, I learned I don't know how to spell marshmallow. I had to look it up several times. MALLOW. MELLOW? I DON'T MAL-KNOW. 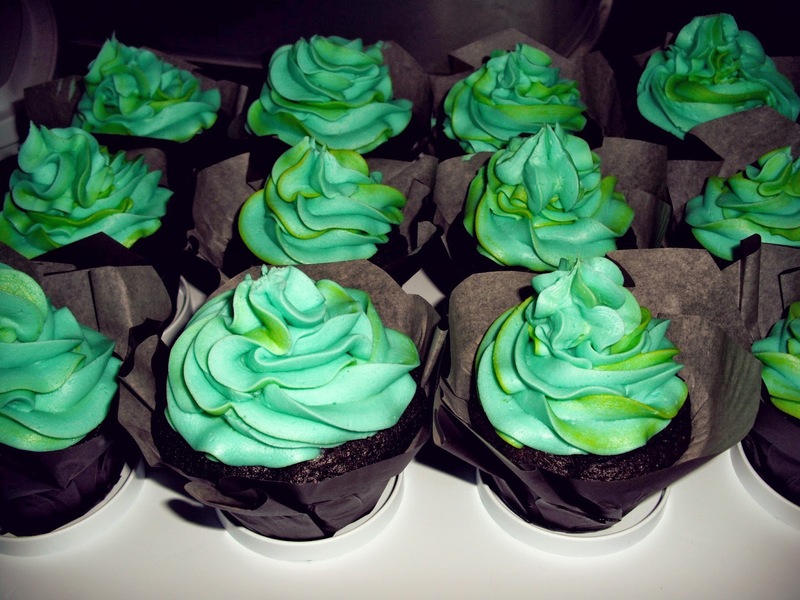 Today involves: cupcake pictures, marshmallow buttercream recipe and an easy way to get two-toned frosting, yippeee!!! How could you resist? You can't. So keep reading! Fold in marshmallow fluff until you have a smooth buttercream! Put your buttercream in the bag and pipe as usual! 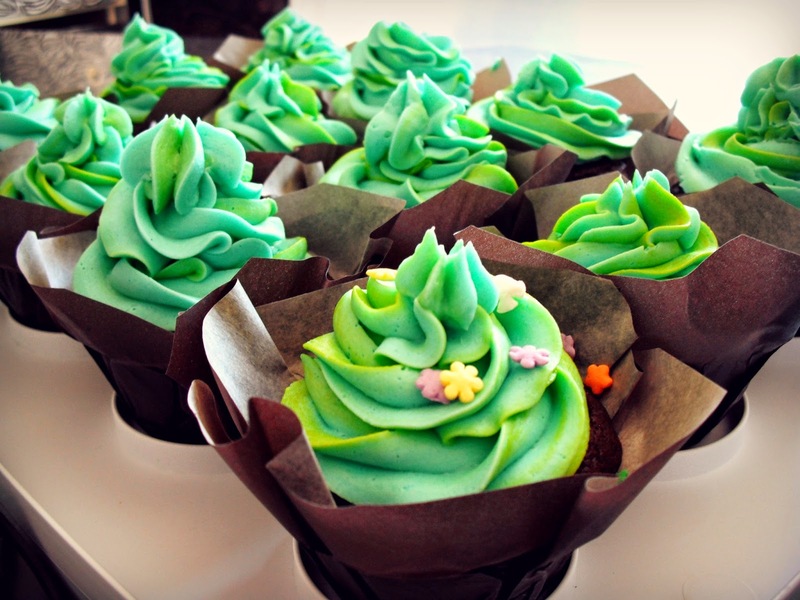 This will give you a beautiful, two-toned icing! Keep in mind the colours will blend. 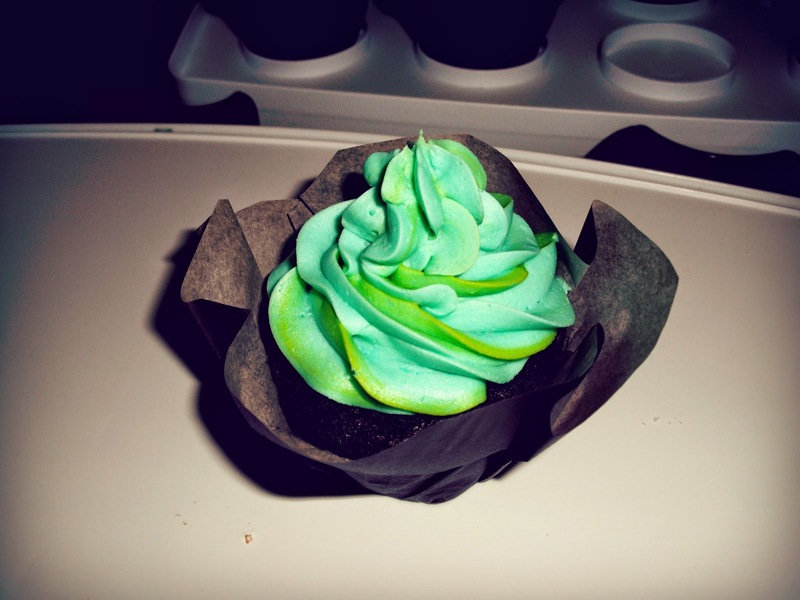 So my yellow icing and teal because a lime-ish green colour. 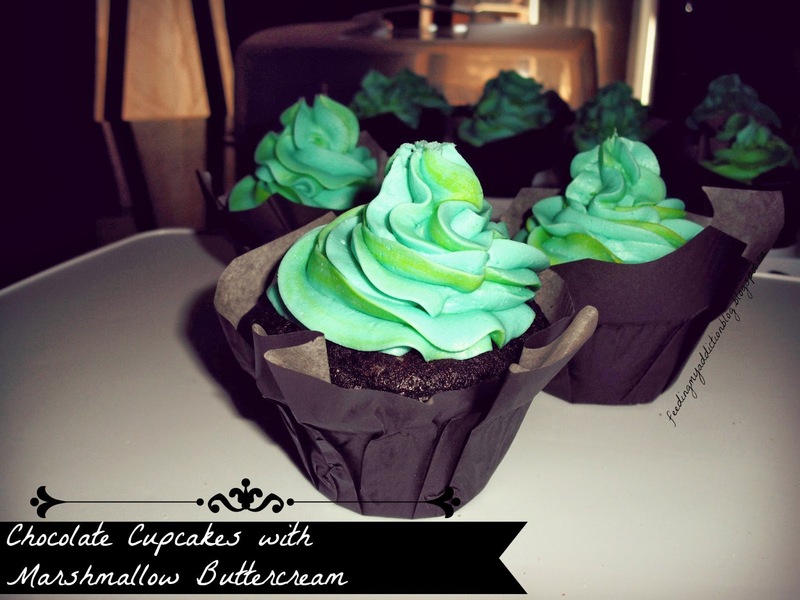 I hope this recipe is helpful, this buttercream is an absolute delight to pipe. It keeps its shape very well, is smooth and AH. Just really nice. 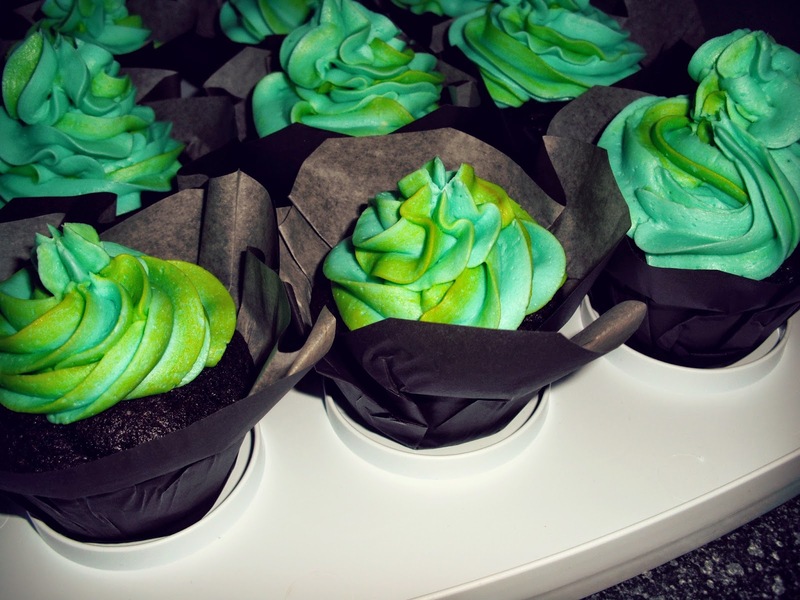 Definitely a must try--and you can make this go with so many different cupcakes, too!